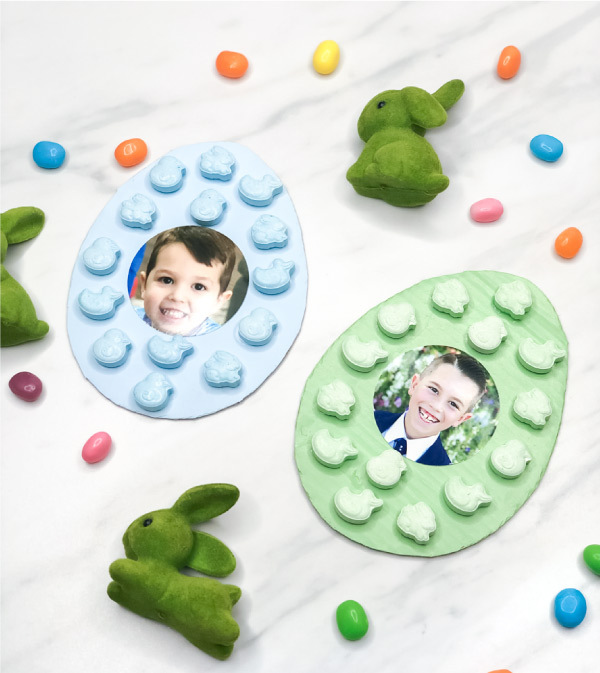 Inside: The kids will love making this simple Easter egg photo craft from Easter candy, paint and recycled cardboard. 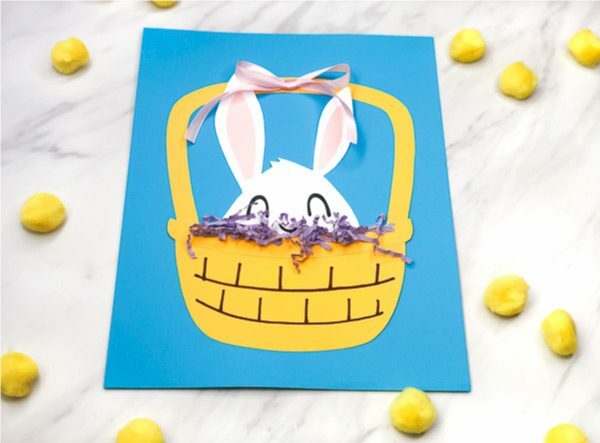 Looking for some fun Easter crafts all the kids can do? 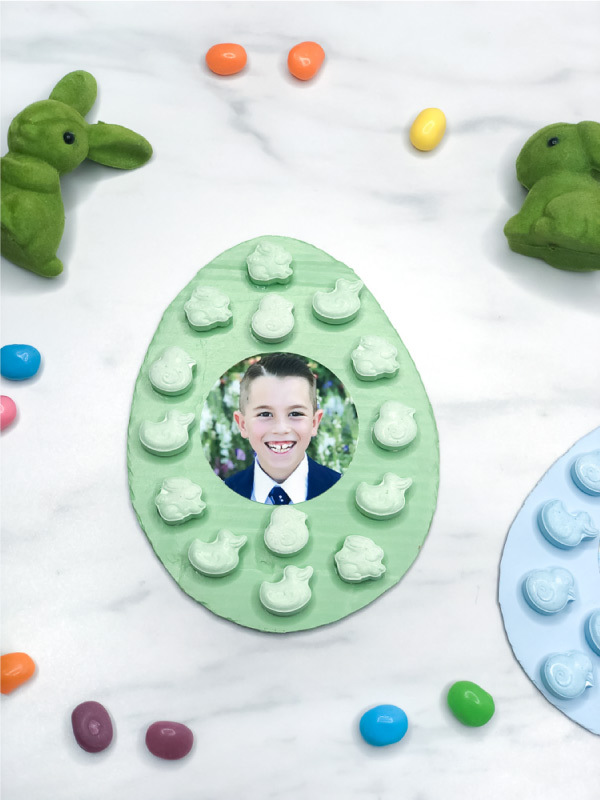 So far we’ve shared this fluffy Easter chick craft, this handprint carrot card craft, this Easter basket craft and these Pokemon Easter egg printables just to name a few. If you’re really looking to fill up some time, definitely check out all our Easter activities for kids here. Today we’re sharing this simple and easy recycled cardboard Easter egg craft. 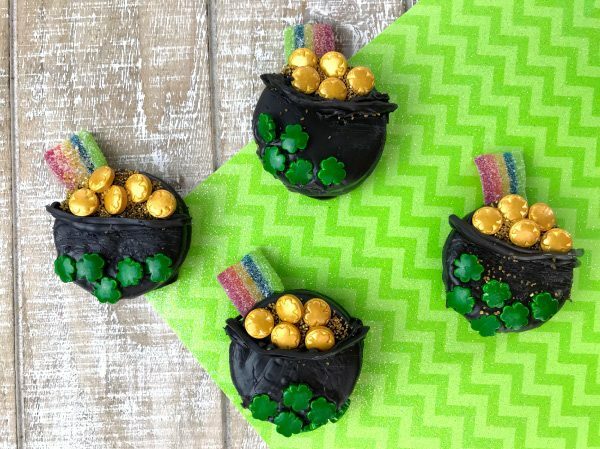 This craft is easy enough for the youngest of kiddos to help create and it’s a cute little gift to give! Read on below to see how to make one with your kids or students. Download the Easter egg template, print out on card stock and cut out. Trace the egg shape onto the thin cardboard and cut out. Paint the cardboard Easter egg in 1-2 thin coats of acrylic paint and let dry completely. 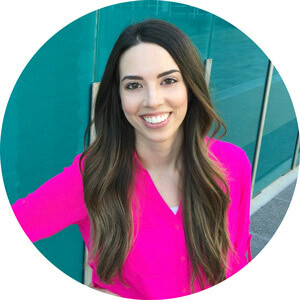 Use the 2″ hole punch to punch out the face of your child from the picture. 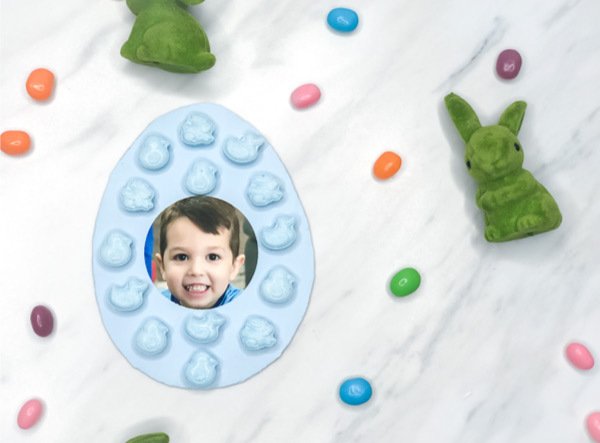 Glue your child’s picture to the center of the Easter egg. 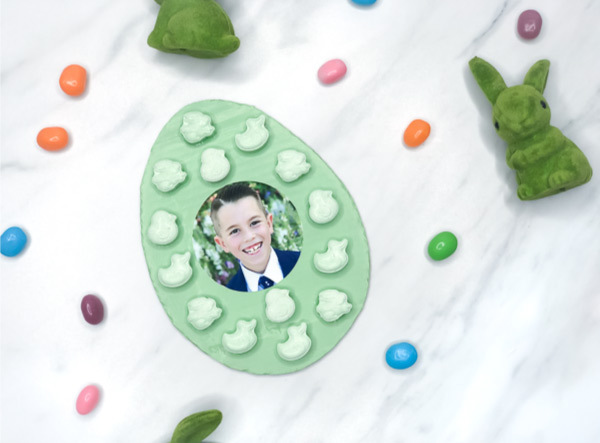 Using the Craft Bond glue, secure the Easter candy all around the photo of your child. 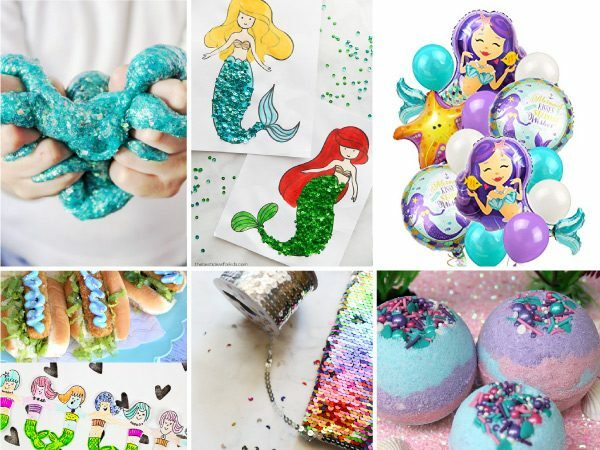 We chose to match the candy to the color of the Easter egg, but you can choose complementary colors or just do a random assortment of Easter colors. Let dry and admire your Easter art! 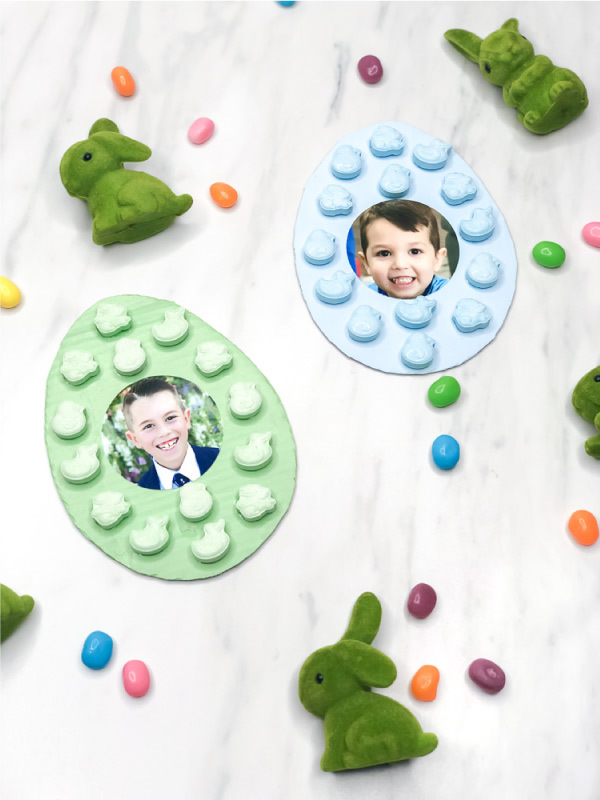 The beauty of this Easter craft is the simplicity of it. 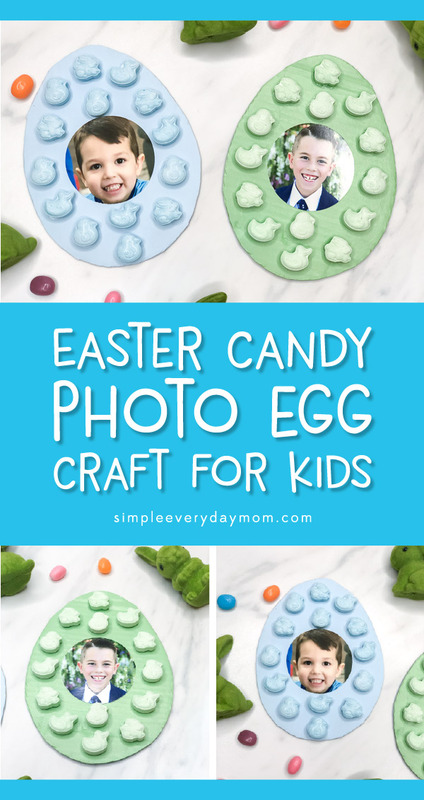 Everyone from toddlers to preschool, kindergarten and elementary aged kids can create a unique Easter egg to give to Mom, Dad, Grandma or Grandpa! It’s sure to be a hit with your kids this Easter season.